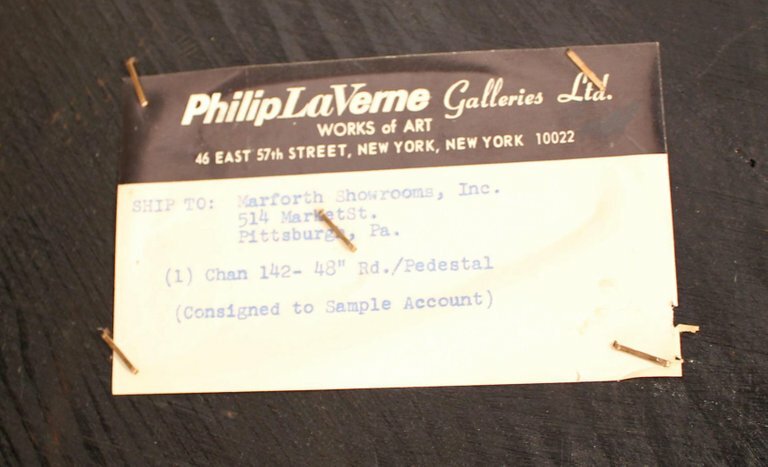 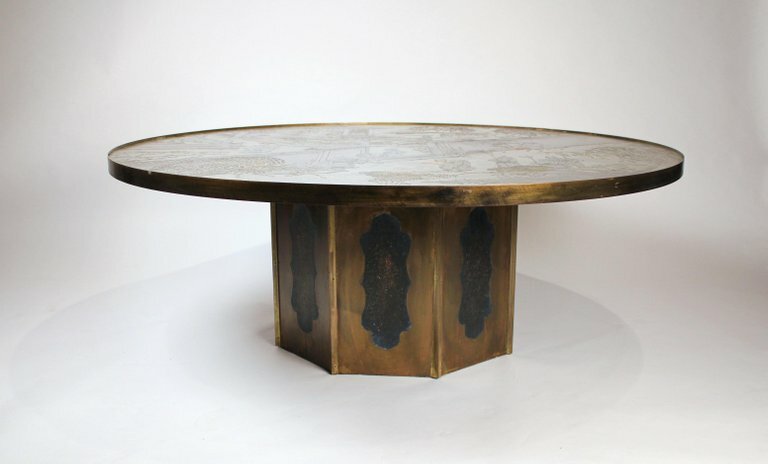 The “Chan” table was designed by power team Phillip and Kelvin Laverne in the 1960s. 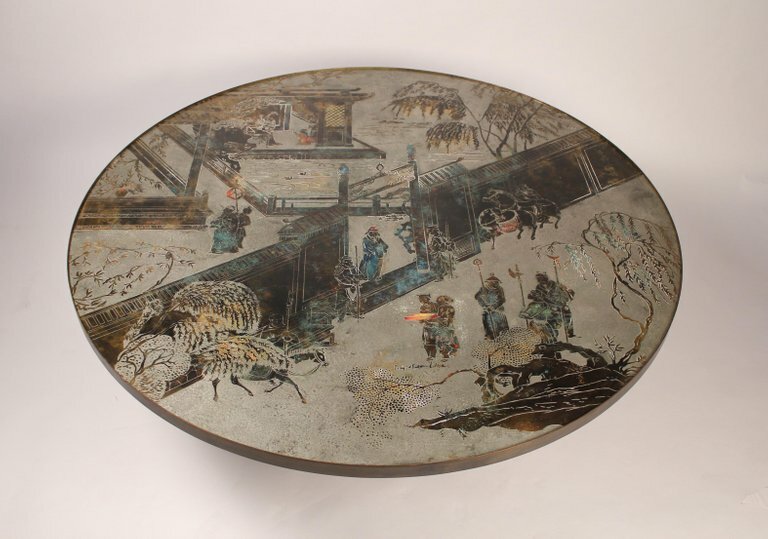 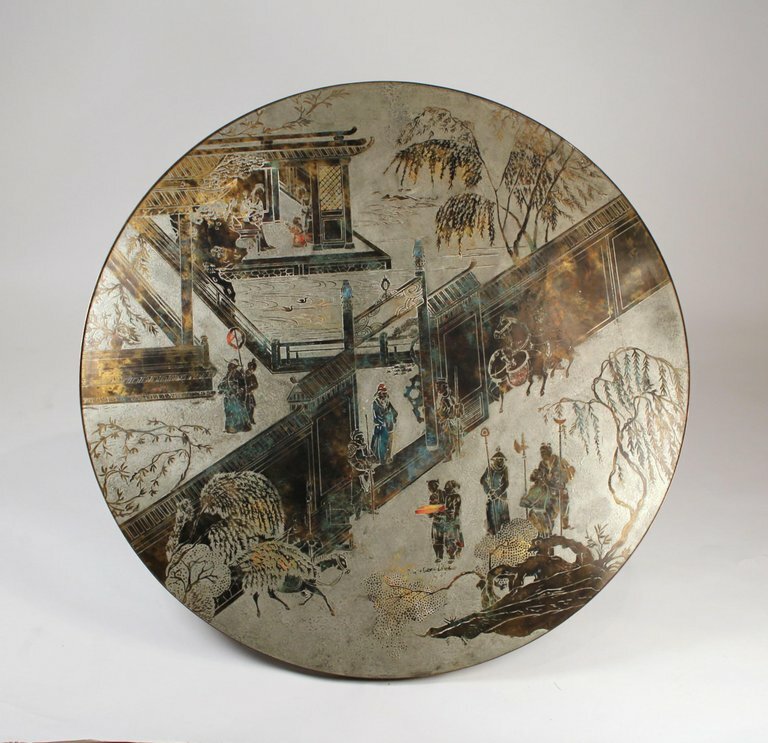 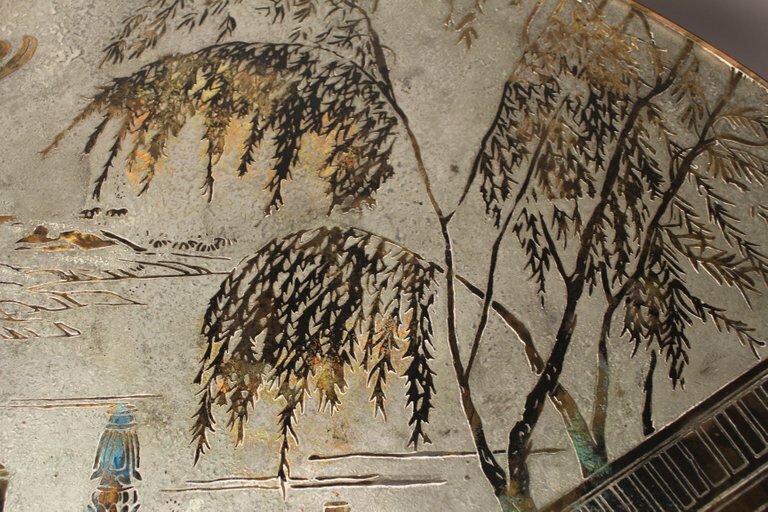 boasting a beautiful chinoiserie scene on its face with a patina that is in superb condition. 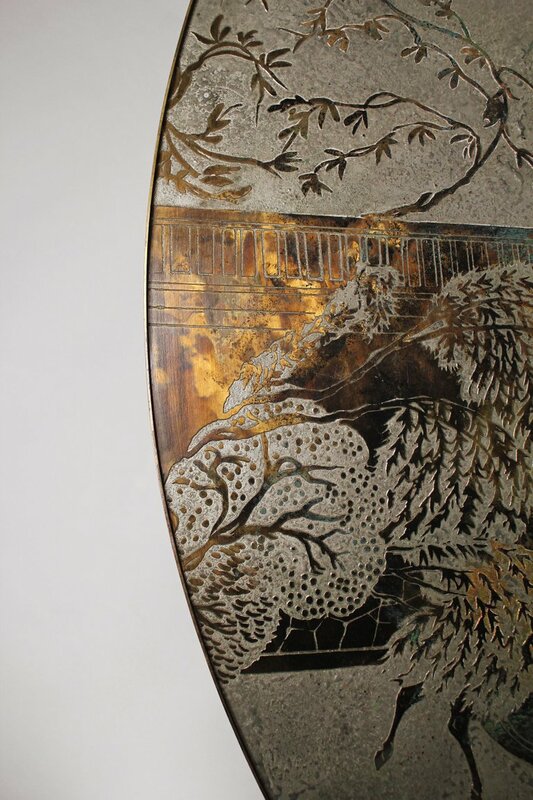 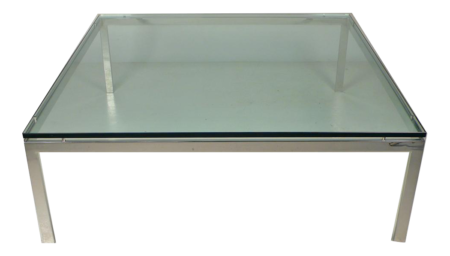 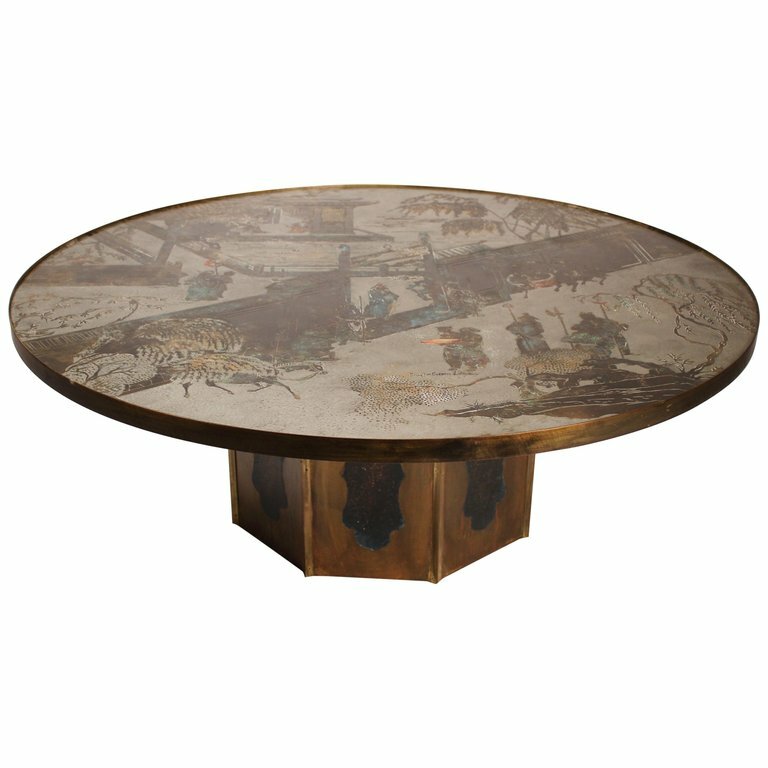 The base has a great octagonal design with a motif that wraps around the entire circumference of the table.